Sorry mate house already has the wheels. I've neglected this thread, but I have been chipping away at the list of jobs. Off she goes, I rented the transporter as it was cheaper then having someone else move it for me. The whole system is now custom and I opted for a sports cat to keep the gasses flowing, I also had the boss for my wide band sensor welded in. 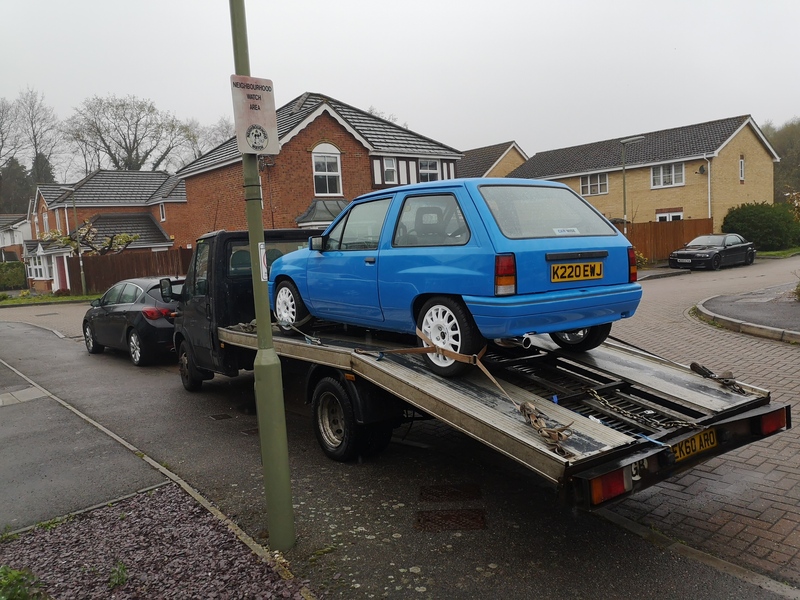 The car is now insured and I need to get the last few bits sorted and it should be on the road. Sweet! Are we going to see it at retro rides weekender?! What's the dates? I do need to try and set my self a target to have it ready by. All going well I'll be there. Sweet, look forward to seeing it!